Contract No. 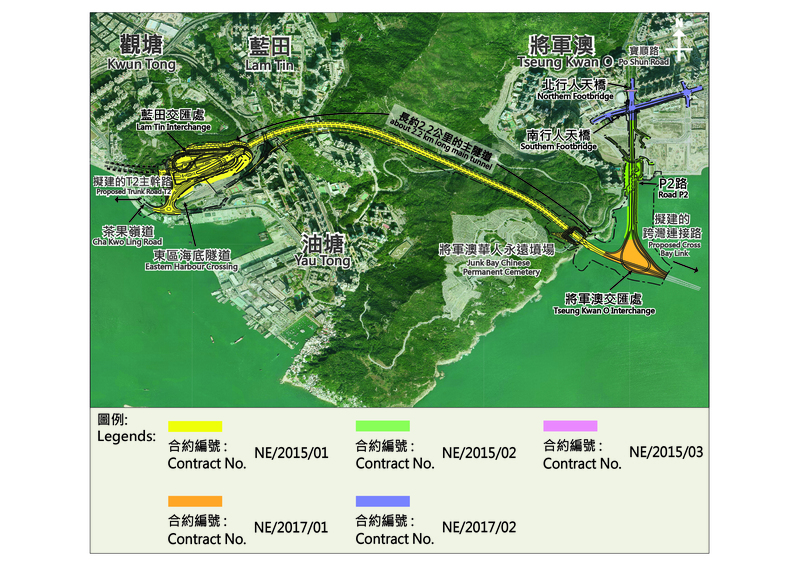 NE/2017/01 - Tseung Kwan O Interchange and Associated Works commenced on 22 January 2018, please see contract information and works progress. Contract No. NE/2017/02 - Road P2/D4 and Associated Works commenced on 30 Novermber 2017, please see contract information and works progress. Contract No. NE/2017/06 - Traffic Control and Surveillance System (TCSS) and Associated Works commenced on 9 November 2018, please see contract information and works progress.